Like anything, getting “good” at Instagram takes lots of patience and practice. Instagram is sensational, and almost everyone has an account! From pets to humans, small business’, large business’, and everything in between. It’s an empire of perfectly timed pictures. My first Instagram account was strictly for my personal use, I had a little over 400 followers and my pictures average "likes" was anywhere from 30-60 likes, not too bad. Then I began blogging back in 2014 and I started following bloggers I loved and noticed they had a great following, ergo giving their blogs great exposure and of course I wanted to jump on that wagon ASAP! At that time though, my photography skills weren't up to par so I didn't really gain much of a following. I had a lot of half assed pictures so I ended up deleting it and creating the one I use today, check it out here. I love my Instagram today, behind every picture there is careful thought and preparation whether it's blog related or not. At one point, I debated whether I should create two 'grams - one for personal use and another for blogging but I decided against it. You can find everything on my 'gram, from food, makeup and everyday shots, to pictures of my family, and especially blog content. I have a little over 7 thousand followers today, which is crazy to me! Never in a million years did I think I would ever reach such a number but hey! life comes at you fast. 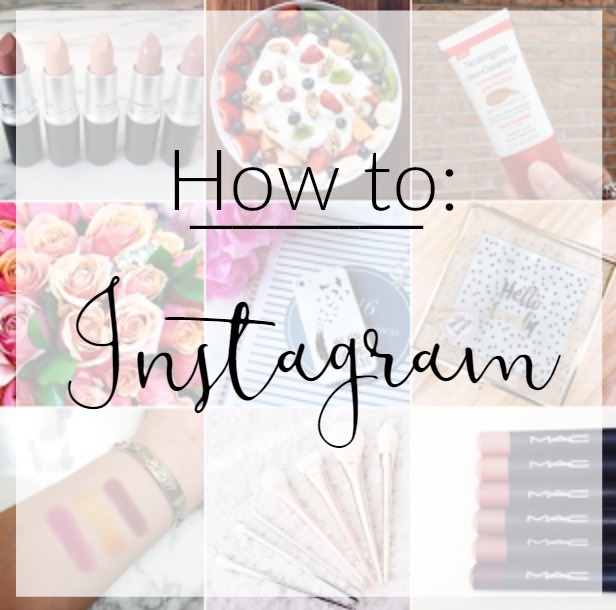 Of course this didn't happen over night, and I had to work really hard so I've compiled some tips on how I grew my Instagram. 1. Improve photography + editing skillz. Probably the most important thing to do as an Instagrammer + a blogger is to improve our photography skillz, I'm still learning. You don't necessarily need an expensive camera to take great shots but if you're really into blogging and taking pictures it might not be a bad idea. Most of my daily Instagram pictures are taken with my iphone 5S, while my blogging pictures are taken with my Canon. Knowin your DSL is key to achieving great pictures, I also shoot in RAW for easy editing in Lightroom. Editing is also super helpful for attracting new visitors. My favorite App at the moment is VSCO, its super easy to learn and the quality is amazing. I love bright clean pictures so my exposure is always super high! Trust me, no one will be your biggest advocate better than you. Promoting yourself and your content is key to growing your Instagram and even your business. Don't be afraid to put yourself out there, even when you think you're being "annoying" who cares! The people who care will stick around and the one's who don't, well that's their loss. Ask friends to follow you and share your content on their social media sites, add your content or pictures to sites like stumble upon! Make yourself noticeable. Try linking your Instagram to your other media sites like Twitter and Facebook. I never did this with my old Instagram, I hated how tacky all the blue #'s looked in the caption and I never really tagged anyone in my pictures either which was such a HUGE mistake. Yes the blue #'s look tacky in the first comment, but I learned of a great way to include them so they are incognito. This is truly where I got most of my followers, I researched hashtags that fit my personality and content and I created a mass list on my phone's notes for easy copy + paste access. You can check out any of my pictures and you can see how I masted the incognito effect most instagrammers are using! TAG TAG TAG! Do you take amazing pictures of beauty products?! Well then tag the companies! Every once in a while they will notice a great picture and feature it on their 'grams, so why not?! This is a great way to get notices and build friendships and relationships with companies you might want to work with sometime. Reach out to companies you would like to work with and try and collaborate with them. I recently collaborated with CaseApp and we hosted a nice little giveaway for a lucky follower who followed both Caseapp's Instagram account and mine. It was pretty sweet! So reach out and don't be discouraged, not everyone will say yes but some might and that's an open door for more opportunities! I actually just finished hosting my very first loop a few days ago and it was awesome! I teamed up with a group of great bloggers and small shops to bring one of our followers a great prize and it went spectacular, we were all really happy with our gains! Loops are a great way to reach new eyes so try it out! Look for loops on Instagram by researching #loopgiveaway or if you want to dabble in hosting one yourself I will be posting a HOW TO very soon so stay on the look out for it!